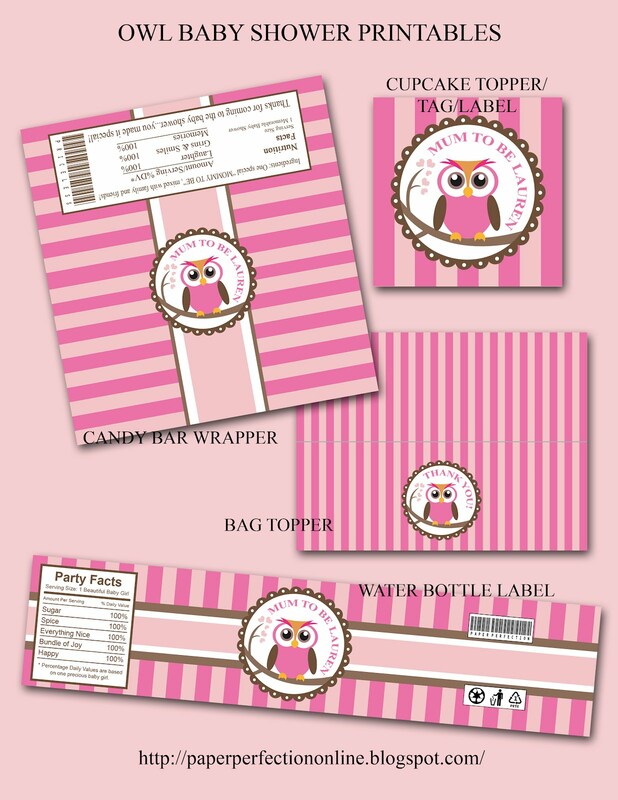 I have a client that I have enjoyed working with for several baby showers and other parties who contacted me with a request for new Baby Shower printables. She sent me the owl image which the brother of the "mum to be" and graphic designer created for his sister. Here are the items that I made for the special event. 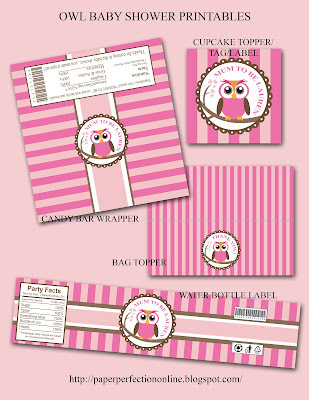 If you are looking for baby shower party printables or custom designs for a special event in your life contact Paper Perfection at jtanddolly@yahoo.com for pricing and details.